After a “relaxing” break in London, Mrs FOMOist and I were ready for our next adventure. We were super-excited about this upcoming holiday, because it’s one of the longest trip we’ve done since moving to London. We were going away for 9 whole days, which included three destinations across three countries with four international flights and an international train ride. So the three destinations visited during this trip were – Zurich, Milan and Istanbul. Given it was mid-October, Mrs FOMOist and I tried very hard to pack light but our fear of wintery chills made it a challenging feet. We flew from London to Zurich after work on a Friday night. Everything went really smoothly with our flight leaving London on time, arriving in Zurich on time, us grabbing the most expensive McDonald’s meal of our lives (€25 for a burger meal + extra burger) and taking a tram to our guesthouse (not Airbnb). I found Guesthouse Langatrasse on www.booking.com. The guesthouse looked very nice, clean and modern with excellent transport connections, however did not have a reception. This was not an issue for us, as the instructions to collect the keys from the keybox were clear and easy to follow. Once we arrived at the guesthouse around 11.30pm, we collected the keys from the keybox, took the lift up to second floor, opened the door and found a girl wrapped in the duvet passed out in front of her laptop. It is important to mention here that the girl must have been knackered because she did not wake up with the sound of the door opening, which made another wave of panic rise inside me – thanks to shows like CSI. Thankfully, once we said (in our overly put on normal voice), “ummm… excuse us… we think you are in our room”, the girl woke up. The girl in OUR room was determined that she is meant to be there, until we used her Skype to make a call to the Customer Service who confirmed (to the shock and horror of the girl) that she had overstayed her welcome. At this stage, I asked the guy on the phone what we are meant to do, so he offered us the “emergency room” for the night, because the rest of the rooms were full. It was past 12.30am at this stage and all we wanted was a room with a bed, central heating and a functional shower. Is this too much to ask after you’ve paid €150 a night? Apparently so. We got to the emergency room, where the heating was not working and the shower was spurting out ice-cold water. I was fuming by this point and gave the Customer Service a call again (using my UK cellphone) and the guy told me he will send a workman to fix it all the next morning at 8.30am, like it wasn’t an issue at all. HE WILL WHAT? If you know me personally, you will know, that did not go down well and after a row of screaming and threatening, a magical vacancy was discovered and we got allocated a proper room, where we checked-in at 1.30am. I have to mention here, www.booking.com were amazing in the process to get us a refund, which the accommodation (Guesthouse Langatrasse) promptly processed. However, if you are planning a visit to Zurich, DO NOT stay at this place. 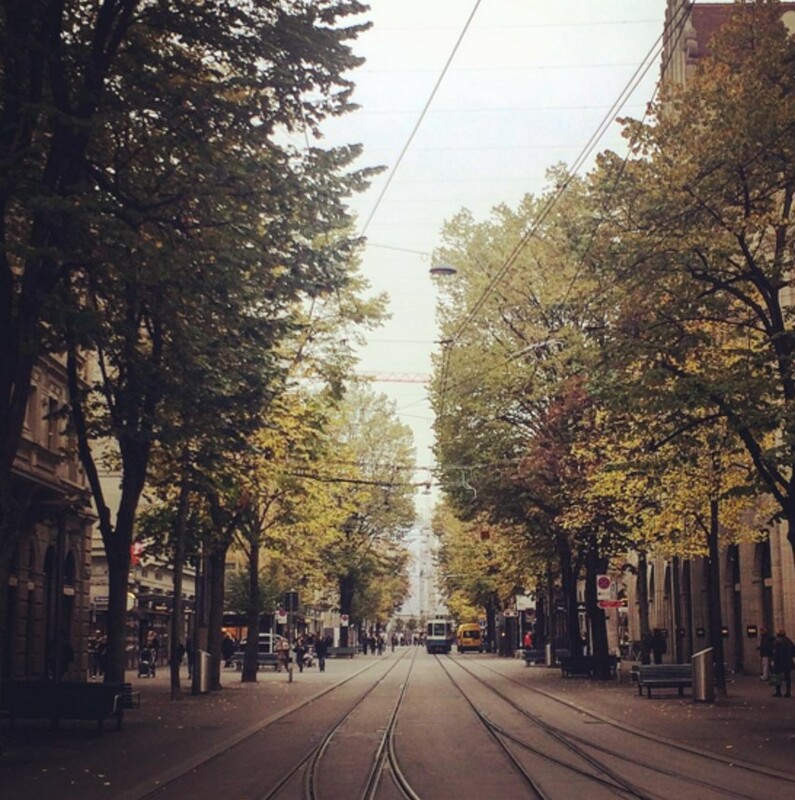 Zurich as a city is pretty much just that, a city. It’s the banking capital of the world and super-clean and organised to an OCD level. Also to note is that we had never seen so many Porche driving around in a city before. The Swiss do get paid generously (even though there is no minimum wage defined by the government) and they definitely know how to spend it well. Zurich is also a very expensive city! We have been to Norway, which people told me was expensive, but we found Zurich to be a whole new level of expensive. €13 for a pint of beer! I am usually the go-with-the-flow kinda guy and if I am on holiday, I don’t mind splurging. However Zurich was so expensive that we bought groceries from supermarket to cut down costs. By groceries I mean packet noodles. 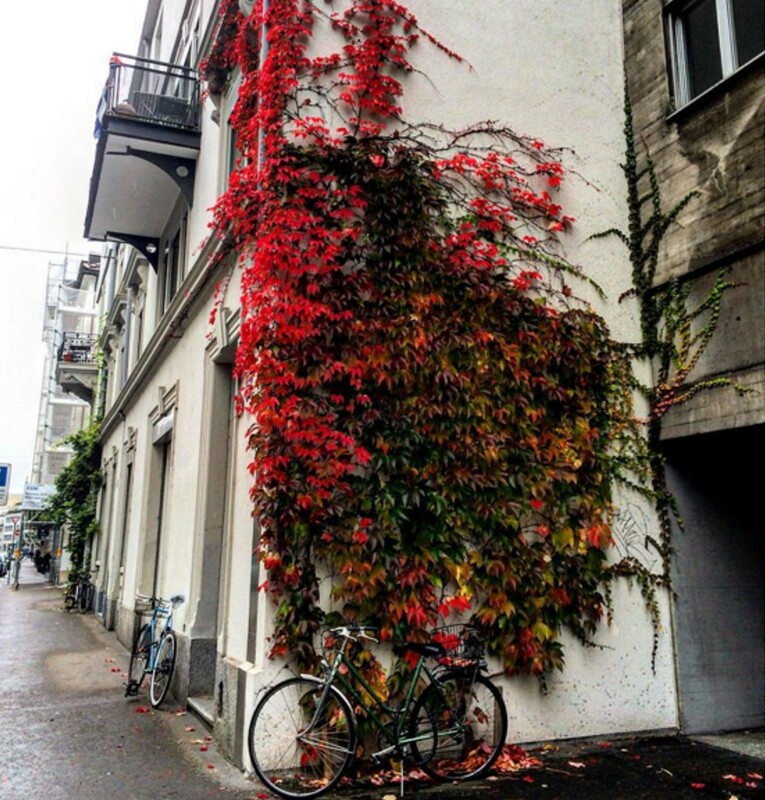 If you have never been to Zurich in Autumn, I would highly recommend it. 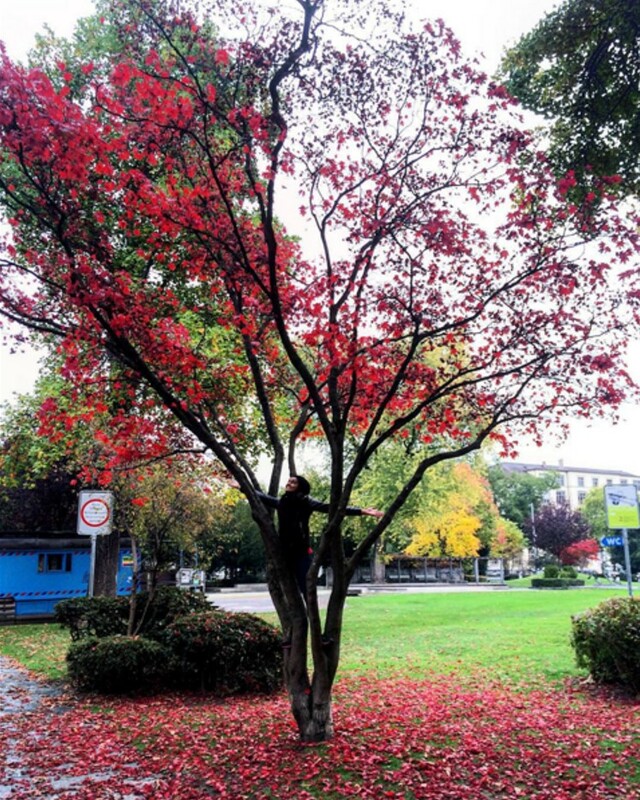 I have never seen such vibrant colours on trees before. In addition to our Instagram pictures, if you like autumn leaves, check out this blog on Helsinki for some nature-aided eye candy. In terms of unique foods, you need to try Luxemburgerli. Luxemburgerli is a miniature macaroon, filled with amazing and unusually fillings, perfectly sized to be gobbled down in one bite. The best place to get them? Sprungli Café. If you are a fan of chocolate, you are at the right place! 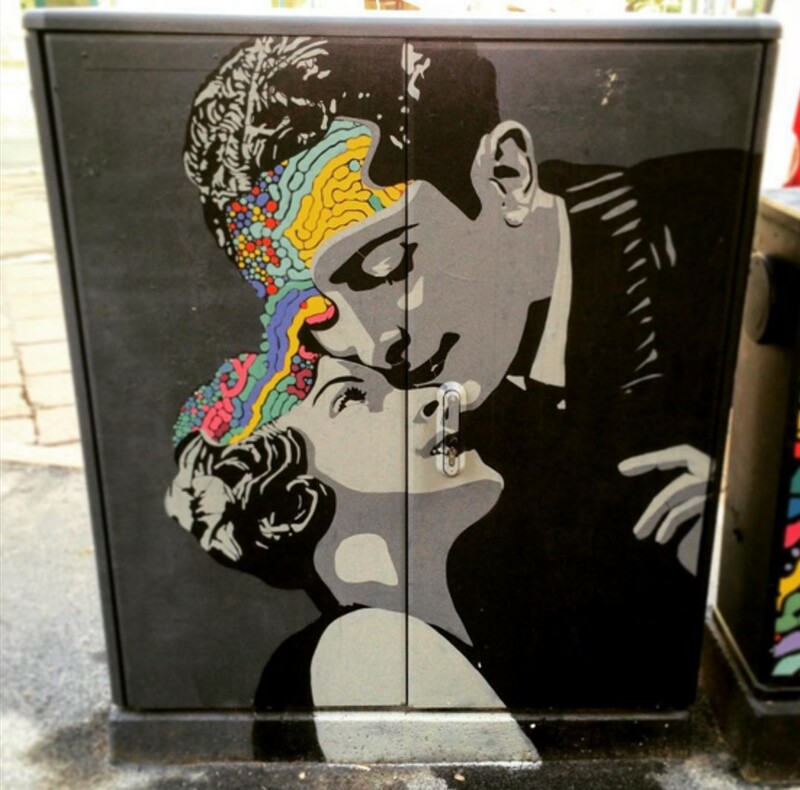 Zurich has some really great gems, full of chocolatey goodness, waiting for your arrival. For the best hot chocolate in town, try Schober Café. Apparently they have a secret homemade recipe. Whatever the secret is, it worked a treat for us. If you’ve had enough of meat (said no one ever! ), do make a trip to the world’s first vegetarian restaurant called Hiltl. It’s a buffet serving global cuisine where you pay by the weight of your plate. When visiting Zurich, do take a day-trip to Lucerne. It’s a very pretty little town, about an hour out of Zurich. In addition to the town, the drive is absolutely spectacular. 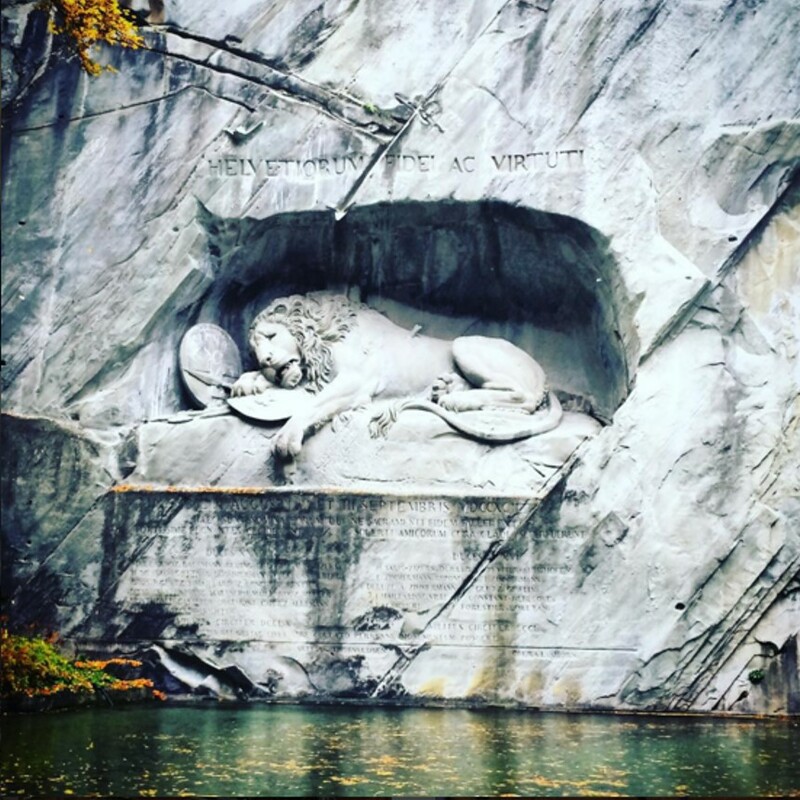 When in Lucerne, definitely go visit the Lion Monument. I am sure if you were planning to visit Lucerne, it must have been on your list. The most interesting thing about the monument was how big it was. None of the photos I have seen do any justice to the size of this beautiful monument. 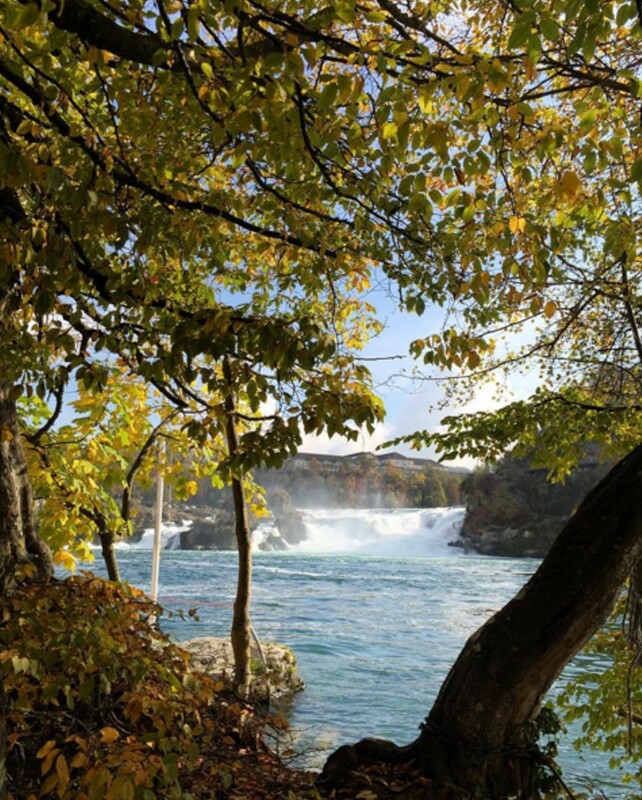 Finally, when visiting Zurich, you may want to consider visiting the Rhine Falls – the largest plain waterfall in Europe. The falls were amazing and not to mention the drive was spectacular. After three days in Zurich, we boarded the train to Milan. Before I get into the details of Milan, I would like to suggest that if you are ever travelling between Zurich and Milan, please please PLEASE do this journey by train. It’s quick (4-hours), affordable (£29 both us both) and offers awe-inspiring views. I work with a number of Italians and when I told them I had a trip planned to Milan, it was met with huff and puffs of disappointment and disapproval. They all suggested that Milan is one of the most disappointing cities in Italy. 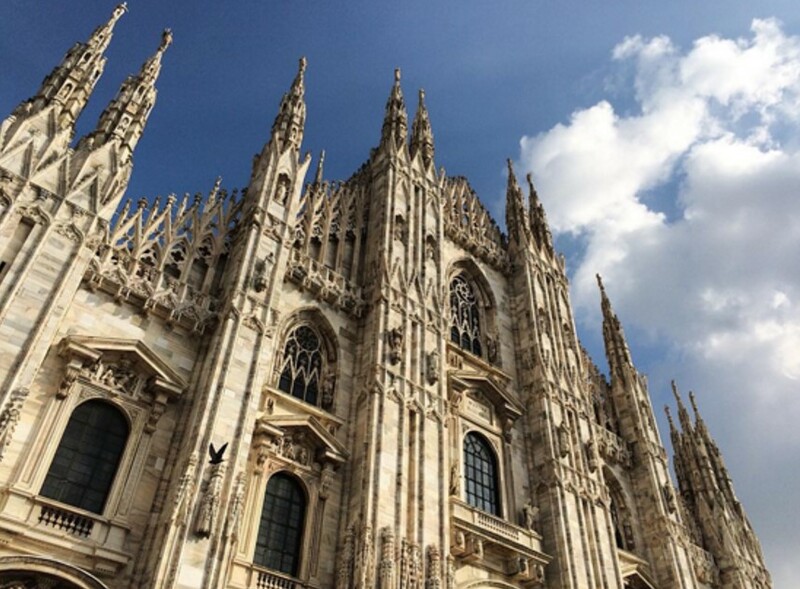 In our view, Milan was a fun and vibrant city with lots on offer. 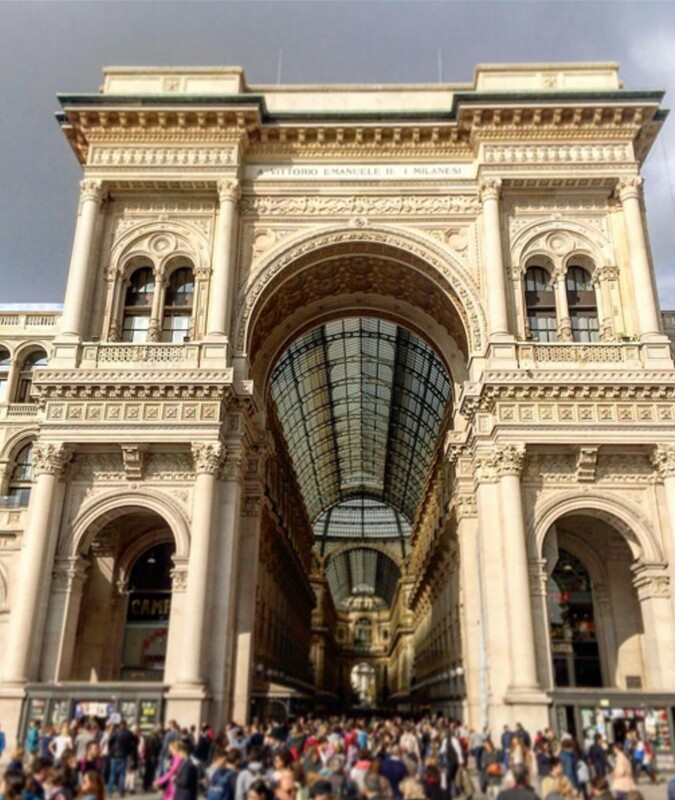 Even if the history and beauty was engulfed in the concrete working-class jungle, we are glad we visited Milan. We were there for 3 days and could have stayed a few more. 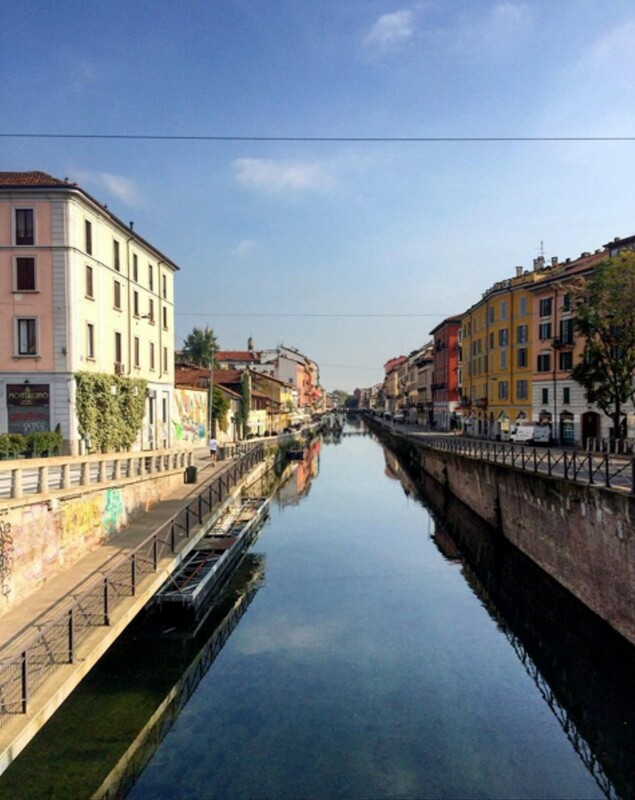 Even if the lure of staying in the city centre is too hard to resist, I would urge you to break-free from the shackles of your own thoughts and stay in the fun and vibrant neighbourhood of Navigli. We stayed in an Airbnb apartment along the canal and I truly think this was one of the primary factors of our love for this city. While we were there, the MTV Music Week was on and there were street parties going on every night, which made the streets of Navigli come alive after-dark. I know Italy is more known for its wine than beer, but if you do feel like trying some locally brewed hops, you have to visit BQ Birra Artigianale di Qualita. Just grab a pint in a plastic cup from this hole-in-the-wall-bar and walk the length along the canal. Once you’re finished with the beer, take your cup back for a refund (for the cup only). Perfect! For the best pizza in town, visit I Capatosta. The service is great, food is good and prices are reasonable. One thing though, don’t forget to make a booking, even on a school night. This place is packed with locals and a handful of tourists in the know. Embracing the pop-up fever is the Mercato Metropolitano in Milan. I think it opened in summer and could be in its last few weeks, this pop-up food market showcases the best of Milanese food, wine and beer. If you are after a spot of Coca-Cola, you definitely won’t find it here (we didn’t). For the best Bolognese in town, visit Ristorante da Giordano Il Bolognese. In addition to the Bolognese, all the other items on the menu are scrumptious, the house wine is delicious and the service excellent. Even though we arrived 5-minutes late for our reservation, they didn’t have a table ready. We didn’t really mind waiting, but were offered offered a free glass of Prosecco for the inconvenience. Finally for a quick lunchtime snack, try the Luini’s famous Panzerotti – typical Milanese snack which can be best described as deep fried Calzone. Luini’s is tiny but hard to miss with the number of people queueing outside. 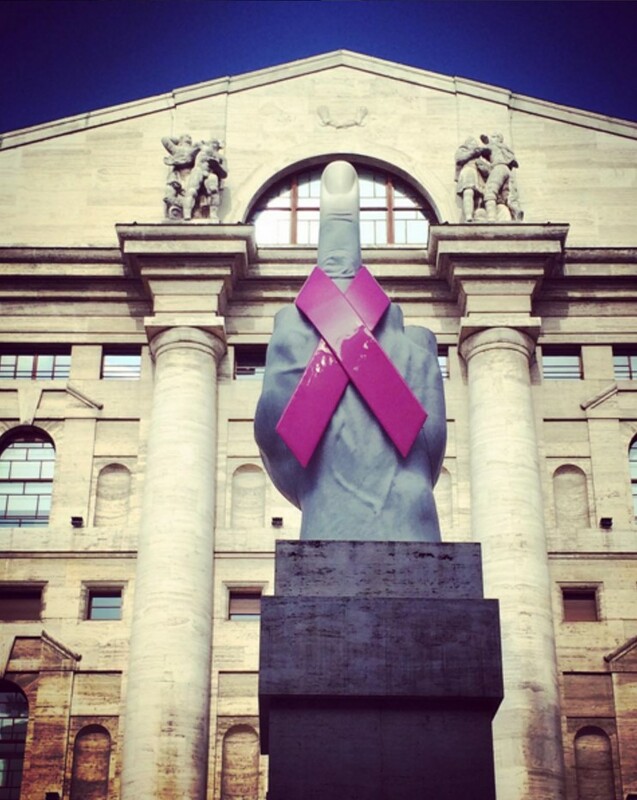 To truly appreciate the hidden beauty of Milan, I would highly recommend the free walking tour here. Milan has some beautiful hidden gems, which unless pointed out by an expert can be overlooked easily (you would never think of going to the Financial District of Milan to find the above now, would you?). Also, the place is truly a shopper’s dreamland. It has something for everything, from the top-end designer brands to great bargains. Both Gee and I bought up a storm in Milan, which posed some serious baggage related challenges on our way back to London. 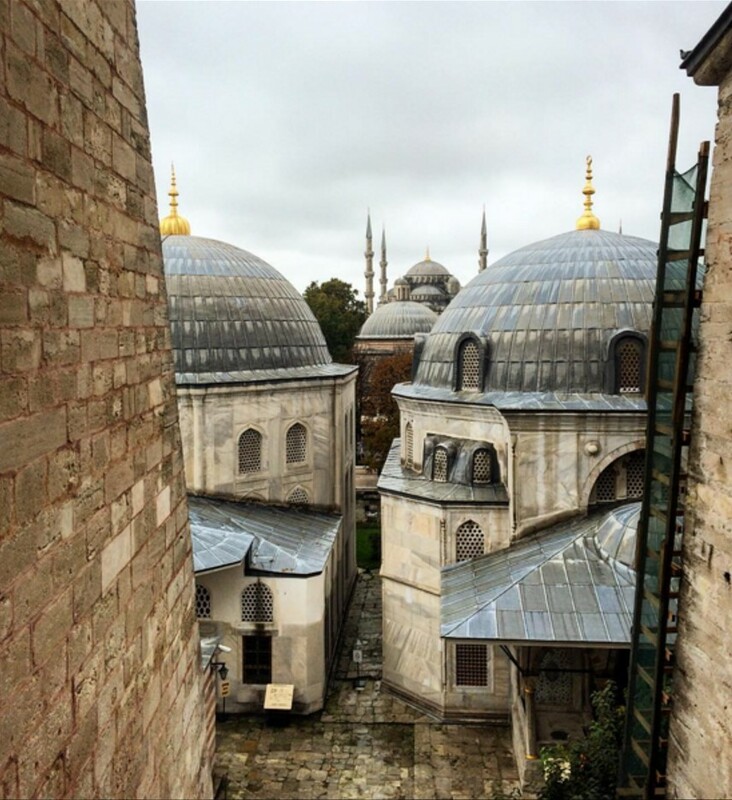 After our 3 days in Milan, we took a quick 3-hour flight to our final destination – Istanbul, Turkey. I have been wanting to visit Istanbul for years and could hardly contain my excitement at the prospect of this dream soon coming true. While we were planning this trip, we used to look at the weather forecasts that teased us sun-soaked days with moderate temperatures. 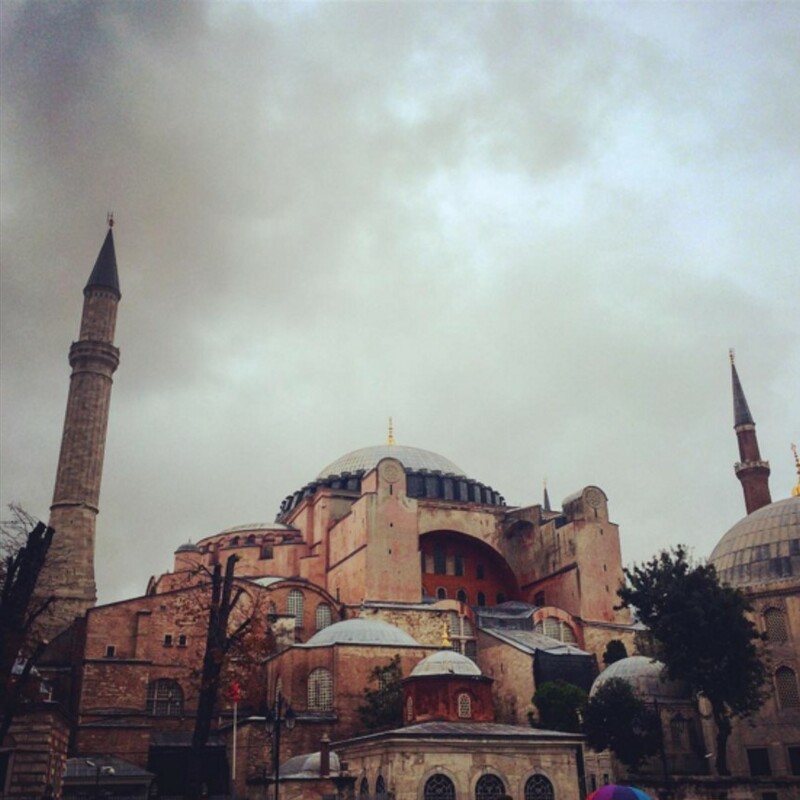 During our 4-day visit to Istanbul, all we got was torrential rain. I know it rains a lot in London as well, but this was serious drenching-you-to-your-underwear rain (sorry about that image). If you’re visiting Istanbul for the first time (like we were), please note that our experience of the locals was not very pleasant. We found them extremely rude and aggressive, even more so than India, but that could be because we couldn’t understand the language here, unlike in India. If you are planning to visit more than three museums, invest in a Museum Card, it pays for itself and makes you explore sites that you won’t otherwise consider. 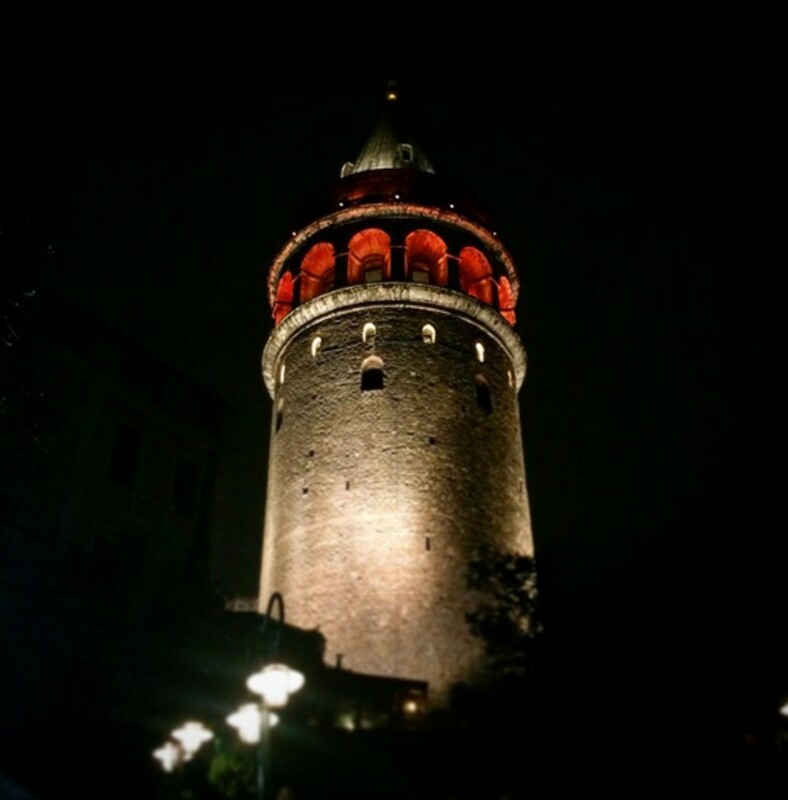 Even if it’s not on top of your list, you must go on top if the Galata Tower. The views from the top are stunning. 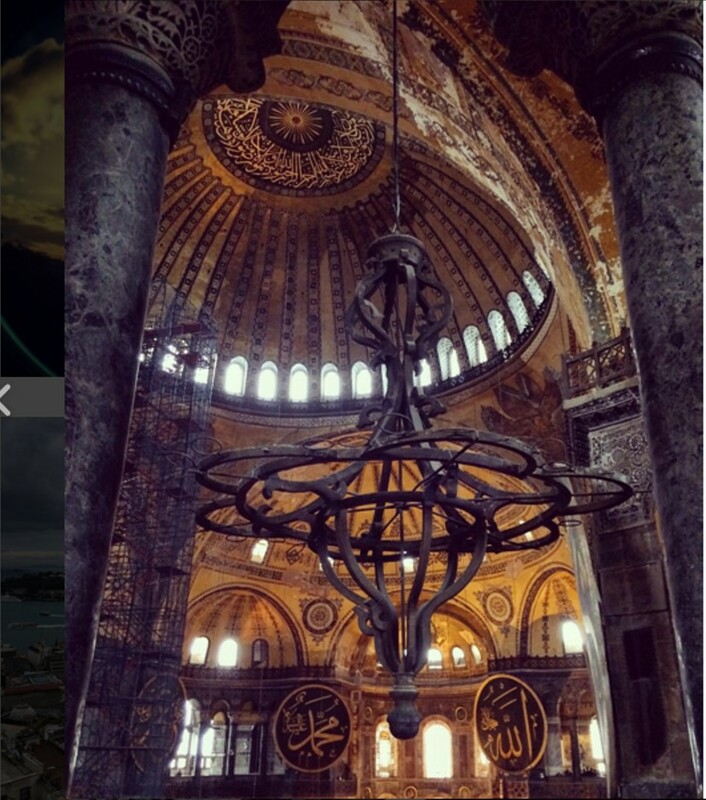 I don’t know exactly how many mosques there are in Istanbul, but there are a lot of them around, with each one more magnificent than the next. This was our first time inside a mosque. I was very excited to go in, but was a little disappointed to find that it was just an empty hall. However there is something nice about that because it’ll focus the devotees on The One. 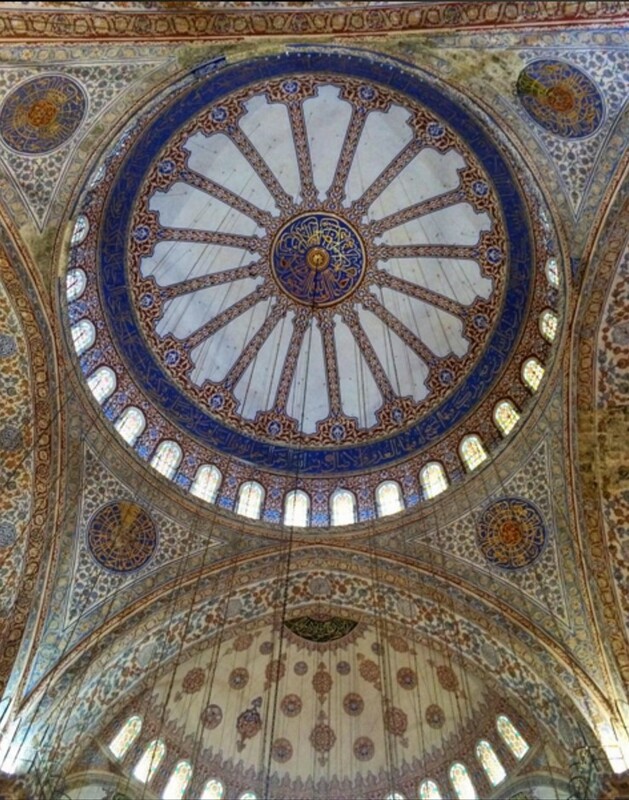 However as a tourist, once you’ve been inside the Blue Mosque (because you have to), I‘d recommend not to bother with any others. 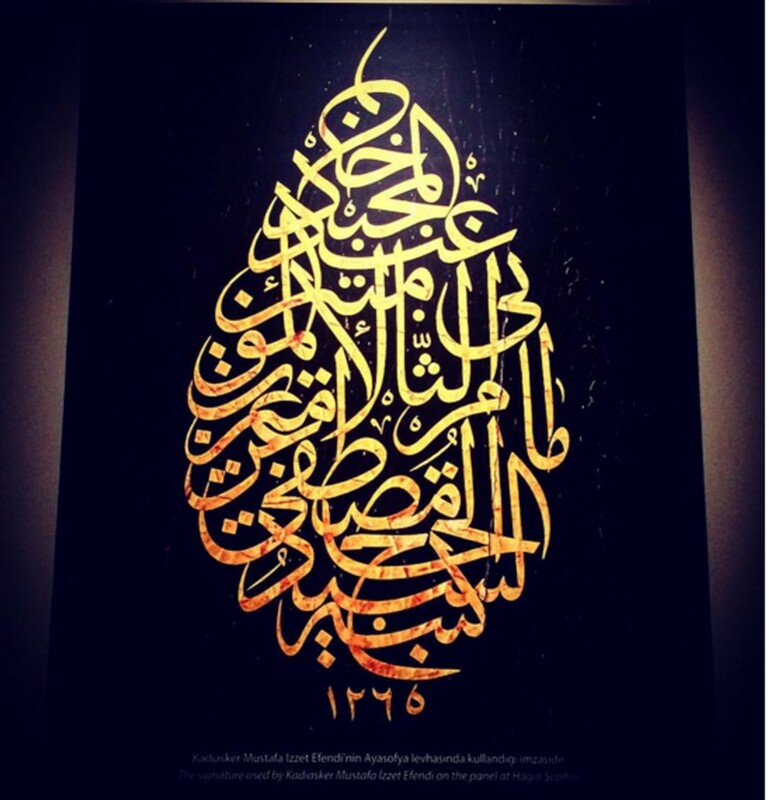 If you are as fascinated by the Whirling Dervishes as I am, go see them in all their glory at Galata Mevlevihanesi. Their ability to whirl so effortlessly for that long is admirable and intoxicating to watch. Avoid taking taxis at all costs. The traffic in horrendous in Istanbul so walking and trams are recommended as means to get around. If you have to take a taxi, be prepared to get ripped off and there’s nothing you can do about it unfortunately. 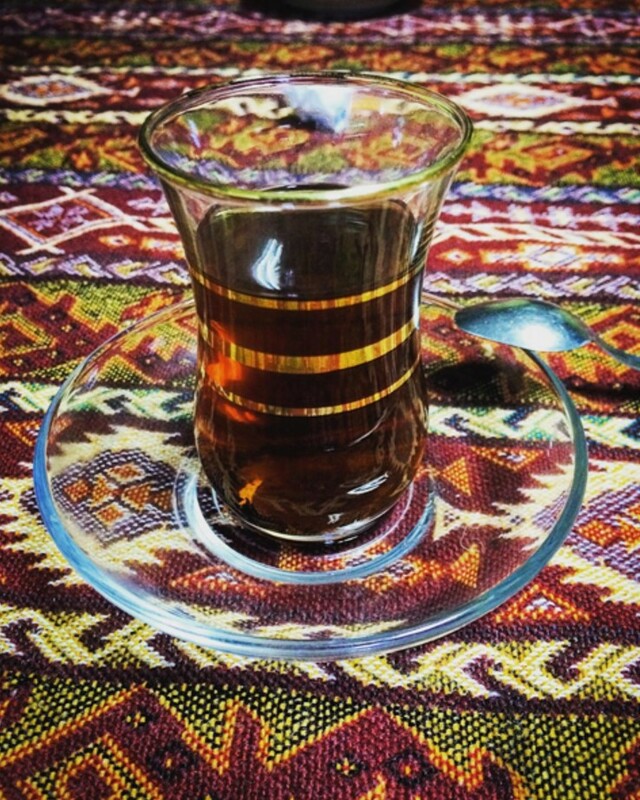 Moving onto the food and drinks, make sure you have the Turkish Chai, but in addition, try the Turkish Apple Tea, it’s yum. There are a variety of kebabs to be had (as expected), but make sure you try fresh falafel kebab and this amazing kebab called Adana kebab. It’s a bit spicy but oh so worth the pain. If you’d like your kebab in a wrap, it’s called a Durum and one of the finer eateries to find a good variety is Sutis Kebap Dunyasi on Istiklal Street in Taksim/Beyoglu. If you like a bit of hookah, it’s called Nargile. You pay a one-off fee for a chosen flavour and they keep topping up the coal for as long as you’d like to stay. 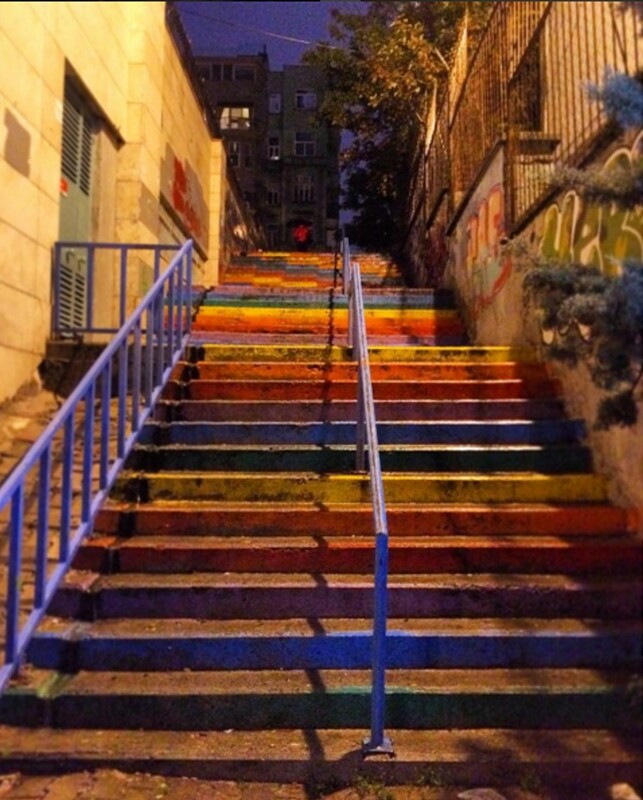 It is not as readily available as you’d think, but we were told that the best area to get it is Ortakoy. We didn’t get the time to visit Ortakoy but managed to find a place on Istiklal Street, which was great – there is possibly only one other place on Istiklal Street that we noticed afterwards. 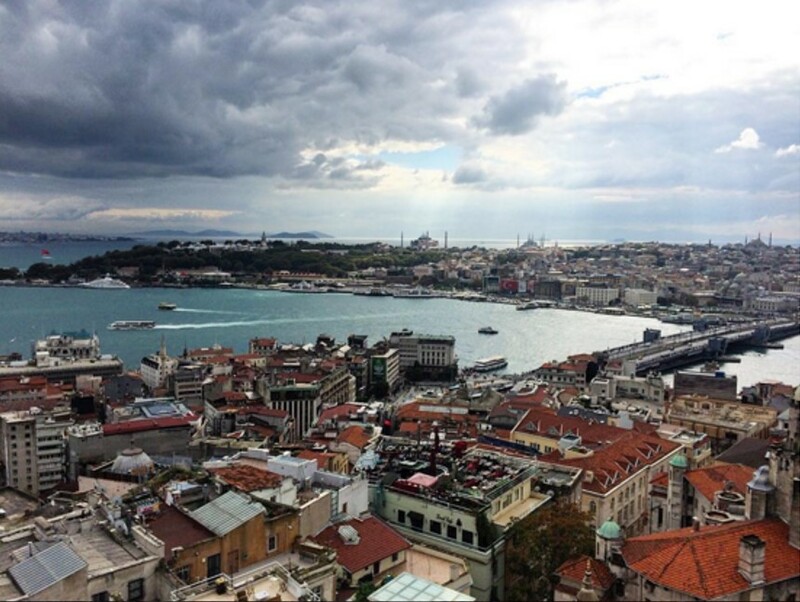 If you are looking for a fresh fish meal extravaganza, there is a wide range of restaurants under the Galata Bridge. All the restaurants are pretty much the same, so choose one and settle in for a yummy fish meal, while watching numerous fishing rods hung overhead from the bridge, trying to get the best catch. If you like baklava, Turkish baklava is the best in my opinion and you can literally get it from anywhere. One of the odd desserts I tried in Istanbul was Chicken Pudding. Yes, it is a thing and yes it is made out of chicken. Am I happy I tried it? Totally, otherwise I’d be wondering forever. Would I try it again? Nope. Do I recommend it? Totally. As confronting, frustrating and tiring our short trip to Istanbul was, it is still one of the most captivating places I have ever been to. The cultural confusion co-existence of East and West is fascinating and 4-days in a place like Istanbul is just isn’t enough. In the last few weeks you may have noticed that I have been writing these posts retrospectively, starting from December 2014. Now that I am all caught up (Oct-Nov 2015), I’ll spare you the pain of my daily rambling on and will be publishing new posts once or twice a month only. If you do have any questions or want me to write about anything in particular, please feel free to leave them in the comments section below. If you like the blog, please follow it so you can keep up to date and share it with your friends. P.S. Mrs FOMOist and I are off to Madrid this weekend so if you have any suggestions, please leave them below in the Comments section.